Move in ready "Mariposa" Town House!...This Turn Key home is located in Saugus off of Plum Canyon Ranch. The home features 2 spacious bedrooms, 2 full baths, beautiful engineered wood floors and open layout! The Master bedroom has a large walk-in closet and spacious bathroom suite with dual sinks. The Kitchen overlooks the dinning room & balcony and the family room ties in the whole area. There is plenty of storage throughout and separate laundry room for side by side washer & dryer. The unit also features a one car garage with direct access and a separate covered carport space. This community has one of the lowest HOA's in Santa Clarita with plenty of amenities such as community pool, recreation room, bbq, sitting area, security and a park for all to enjoy! 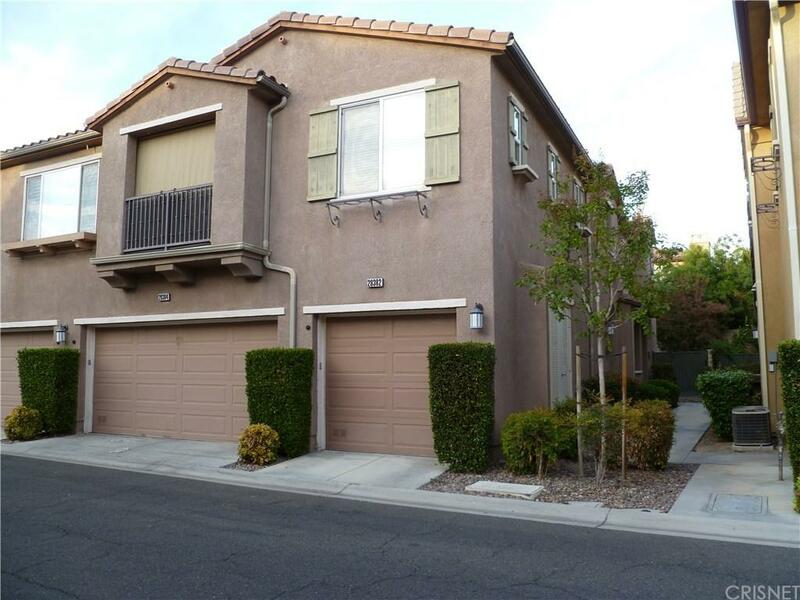 This location has easy access to shops, restaurants and freeways! NO MELLO ROOS, and VA approved.